At Dolphin, we aim to inspire a lifelong interest in the making and appreciation of arts and craft in all its forms. Art contributes to the emotional development of each child and pupils develop a range of skills including painting, sketching, photography, sewing and printmaking. Art is a vital part of our broad curriculum which sees pupils study Native North American Indians, Aboriginal Art, Victorian Art, Arts and Crafts movement, Cubism, Post Impressionism, Renaissance Art, Land Art and Pop Art. A programme of day trips and visiting artists, along with in house art days further enhance the Dolphin art program, with the pinnacle being the Year 8 Italy Trip. 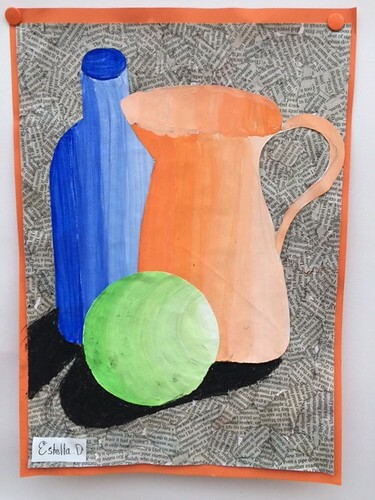 Pupils produce attractive artwork that showcases their creativity.